Sanyati Hospital: First ‘extreme makeover’ volunteers from BGR on Vimeo. Sanyati Baptist Hospital has nearly a sixty year history of health care, education, evangelism and discipleship. The economic crisis of Zimbabwe over the last decade (the worst in recorded history) has left the hospital in a place of hardship. On average, the hospital sees about 35,000 outpatients, cares for 1,800 inpatients, assists in 1,800 child births, and performs 1,000 minor surgical procedures and 240 C-sections. This is a very important and vital bush hospital. Limited funds and resources have placed the hospital in crisis. There has been a limited supply of drugs and supplies while AIDS, TB, cholera, and malaria has risen. Shortages of water and electricity have created difficulties in providing prompt care. Often patients are asked to return in hopes that power or water will be restored. Thanks to Baptist Global Response and Samaritans Purse medical supplies and water solutions have allowed the hospital to keep its doors open. But these first few donations only opened the door to see how much deeper the need truly is. It is now time to formulate a plan for the hospital to provide good health care for the next sixty years. Our hope is to mobilize volunteers from both US and Zimbabwe churches to repair the hospital and portions of the station to working order. This is a five year plan to engage volunteers in making the necessary repairs. Churches or organizations interested can request to be a part of the makeover. Different phases will be available and multiple trades and spiritual gifts can be used at the hospital and the surrounding area. In 2011 we would like volunteers to be organized to accomplish the following: installing a solar power system, make necessary repairs to the interior and exterior of the chapel, and build a dorm for housing volunteers that will be used for nursing students after the makeover is completed. In 2012 the focus is to replace all of the old roofing with corrugated steel and to replace any rafters or purlins as needed. The remaining years of 2013, 2014, and 2015 will complete all of the other work. This ranges from window repair, ceilings, electrical, plumbing, tile, cabinetry, painting, etc. Sustainability is a key word when talking about this plan. Conversations with Sanyati Baptist Hospital administrators, local pastors, The Zimbabwe Baptist Convention and others have been ongoing. There seems to be a growing sense that maintenance efforts can be continue after the project is completed by nationals. However due to the widespread needs both at the hospital and in the country US volunteers are critically needed. Here are several ways you can help with this project. First and foremost is prayer! 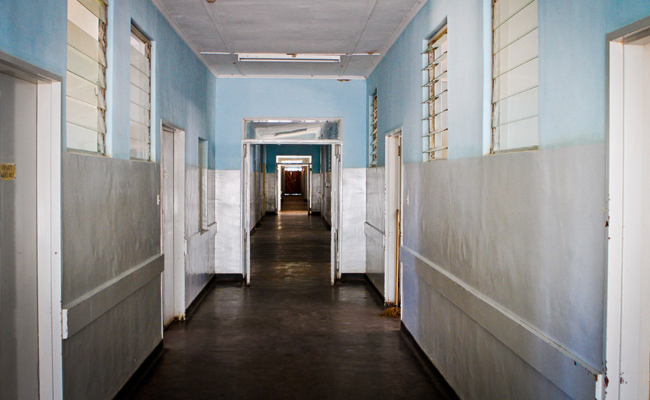 Pray for Sanyati Baptist Hospital, pray for Zimbabwe, pray for revival, and pray that God will raise up the necessary resources required for this project. Secondly we need a project manager to help coordinate the work at the hospital and the source of building materials and supplies. Third we need financial support to buy the materials. Volunteers will pay for their own costs, but adding materials to their portion would make the trip far too expensive. Fourth, we need teams to go and do the work. A trip would typically be two weeks which would allow eight days of work and a couple of days to enjoy a safari.